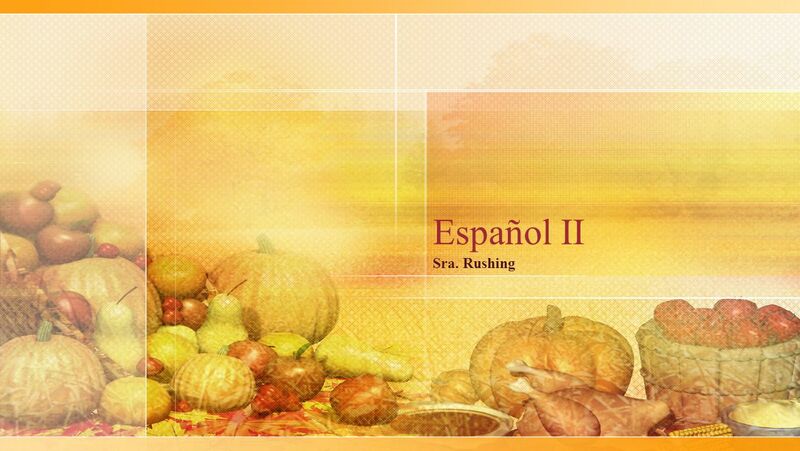 Download ppt "Español II Sra. Rushing. 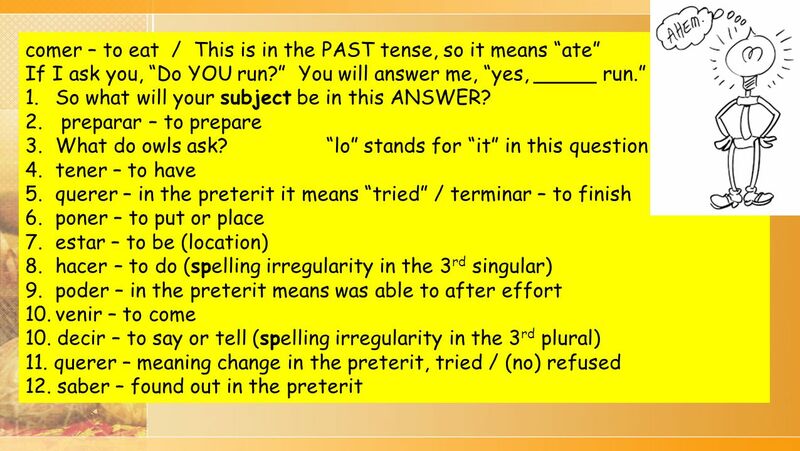 comer – to eat / This is in the PAST tense, so it means “ate” If I ask you, “Do YOU run?” You will answer me, “yes, _____ run.”"
“Mnemonics” en español Clues for remembering the irregular preterite stems. La clase de español II. El pretérito The Preterite Tense The past tense. The preterite tense tells what happened or what you did. It is used when the action described has already. 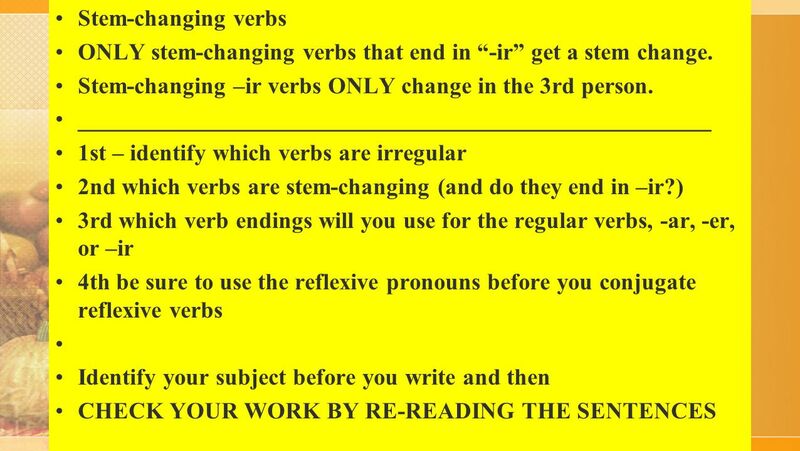 1 Day 3- Review of Subject Pronouns with Ser and Tener An Online Learning Module Adapted from PowerShow.com Los Verbos. Unit 5 Spanish IV. Conditional SHOULD have COULD have WOULD have Attach the formula to the infinitive íaíamos ías íais íaían Accents on all I’s Formulas. Do now  Escribe 5 oraciones usando :  IR+A+ANY VERB IN THE INFINITIVE. Copyright © 2008 Vista Higher Learning. All rights reserved.7.1-1.